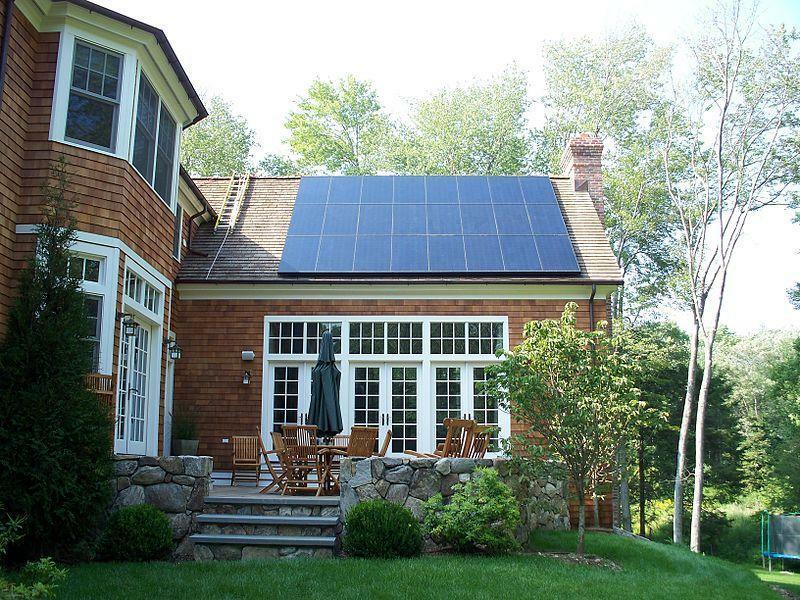 Residential solar power installations are less expensive than years past, can also be less visually intrusive, and coupled with state and federal financial credits are becoming more and more in reach for many. More and more the alternative solar energy source is merging onto the power grid. It comes with a greater potential than wind energy for individual households to produce and sell power. Senator Dave Koehler and his wife Nora Sullivan had a solar array installed Thursday, October 4, 2018, n a newly constructed carport at their historic home in Peoria. Koehler was a co-sponsorship of the Future Energy Jobs Act. So he says it was important to him to lead by example. But Koehler says for and his wife it was a good decision. “People need to be thinking about this right now. The economics are here. The technology is here. So this makes sense,” Koehler said. Workers take a break while installing a new solar array on the covered patio/carport at the home of Sen Dave Koehler and his wife Nora Sullivan. The rooftop installation includes 15 American made solar panels that will be responsible for about 70-percent of their annual power needs. Hawk Energy Solutions handled the installation design including securing the American-made solar panels, the necessary permitting and financial due diligence. But in addition to the American made high-efficiency solar panel he also wanted a graduate of the ICC Solar Pipeline training program as well as a union member to do the installation work. Jessica Wagner was that person. She is one of the first graduates of the ICC Solar Pipeline training program. She also has her temporary IBEW card and worked with a partner to handle the installation. Ruyle Mechanical Services Inc. handled the installation. Koehler says part of the Future Energy Jobs Act is to create job training that will diversify the workforce including minorities, women and others who need to come into the trades. ICC received a $1-million grant from Com-Ed to create the five-week Solar Pipeline training program. Koehler says the solar panels should last for at least 30-years and are managed through a phone app and computer program. He says the solar installation cost about $16,500. But the state and federal alternative energy credits they will apply for means they’ll get much of that money back. The democratic state Senator says it will end up costing he and his wife about $4,000. They expect to recoup that amount in savings on their power bill over six-years.